This island country in the Indian Ocean lies off the east coast of the African continent. It split from the Indian subcontinent some 88 million years ago and as a result offers the visitor unusual and unique flora and fauna. Some of these plants and animals, which developed in the islands long isolation, are visited during these fascinating four days. Arrive Antananarivo by mid-day. 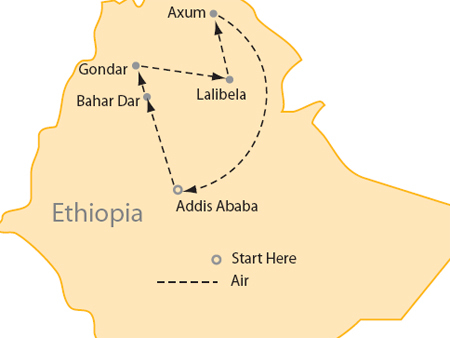 Drive to Andasibe through the green and luxuriant vegetation of the east. Along the way you will see Merina villages in the rocky mountains. 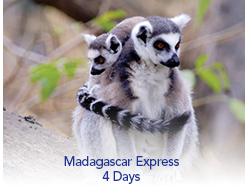 Arrive to Andasibe Nature Reserve and enjoy a night walk to observe night active lemurs and other nocturnal animals.